We would like to stop providing white and green bags for kerbside recycling collections and instead ask residents to use green boxes for all of their recycling materials. Making this change could help us save £100,000 every year along with helping us to reduce our impact on the environment. We would like to hear your views on our proposal to replace recycling bags with boxes, along with your thoughts on how the change might affect you. 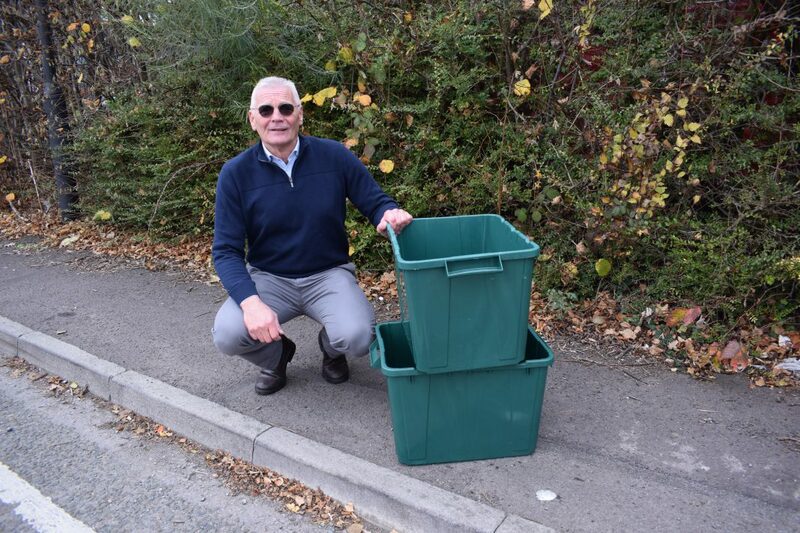 To find out more and get involved, take part in our consultation https://consultations.southglos.gov.uk/consult.ti/RecyclingBags/consultationHome. You have until 25 January 2019 to have your say. Cabinet Member for Communities and Tourism Cllr Paul Hughes said: “This change has been proposed for a number of reasons, the main ones being that the current bags are not biodegradable and plastic fragments are released into the environment as the bags deteriorate, they also need to be replaced regularly and are currently sourced from overseas. Removing the bags from the service could save us around £100,000 a year and the boxes also last far longer. In 2017 we simplified and improved our recycling collections with the introduction of weekly recycling for all household recycling material – plastic, cans, paper, cardboard, textiles, small electrical, glass and food. At the time residents could continue to use white bags for plastic, green bags for cardboard and boxes for other material, or choose to just use boxes. Extra recycling boxes are provided free of charge. We are now consulting on stopping the future supply of recycling bags. Any bags already in use can continue to be used, but would be replaced by boxes when the bags deteriorate. The consultation closes at 23:59 on 25 January 2019. The proposal will be reviewed in light of the feedback and a decision will be made early next year. Any changes will be fully publicised. Read the consultation document to find out why we are proposing these changes and how we would manage them. Pick up a paper copy of the survey from libraries or One Stop Shops, or download and print one, then post it to us at: South Gloucestershire Council, Corporate Research & Consultation Team, Council offices, Badminton Road, Yate, BRISTOL, BS37 5AF. Alternatively, please visit a local library or One Stop Shop and hand in your completed survey or ask for a Freepost envelope. The consultation is open between 2 November and 25 January 2019, and a decision will be made by March 2019.